In addition, there were a few Breslovers in Eretz Yisrael, beginning with disciples of the Rebbe and Reb Noson in Tzefas and Tiveria, and continuing until the present. The letters Rabbi Noson of Tiveria (son of Reb Leibel Reuven’s, a close disciple of Reb Noson), published as “Nesiv Tzaddik,” is an inspiring work, full of spiritual guidance, as well as historical information. Inevitably there were different groups with different leaders; but by and large the Breslover Chassidim got along with each other, and their ahavas chaverim seems to have been very strong in most times and places. Not all of the Rebbe's followers accepted Reb Noson as the preeminent teacher after the Rebbe's passing, but we have no record that this ever led to strife. In fact, several prominent members of other chaburos (groups) sent their sons to learn from Reb Noson; case in point, Reb Hirsch Leib was a follower of the Rebbe’s talmid Reb Shmuel Isaac, but he sent his son Reb Nachman – later to become the Tcheriner Rov – to Reb Noson. Similarly, Reb Naftoli sent his son Reb Ephraim to Reb Noson. None of these other groups lasted after their founders passed away, while Reb Noson alone succeeded in enabling the Rebbe’s light to endure – as the Rebbe had indicated in calling Reb Noson “my Yehoshua.” In Uman at the turn of the 20th century, there were different teachers, such as Reb Avraham ben Reb Nachman, Reb Shimshon Barsky, Reb Avraham Sternhartz, etc. Yet they all were close with one another, despite any differences of viewpoint or approach. 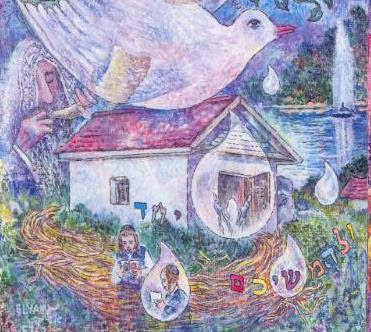 When the surviving remnants of European Breslov relocated to Eretz Yisrael during the 1930s and thereafter, more pronounced differences began to emerge. The Polish Breslovers were from a different cultural background than the Russians / Ukrainians, and both were different than scions of old-time Yerushalayim families who became Breslovers. So they occasionally had different ways of doing things and seeing things. Plus they had somewhat different mesorahs (traditions). Born in Poland, Reb Yisrael Karduner discovered a copy of Tikkun HaKlalli in his youth, and eventually traveled to Tcherin and Uman to study at the feet of Reb Noson's talmidim. He eventually made his way to Eretz Yisrael, where was mekarev other Breslover Chasidim until his untimely death during an epidemic in 1920. Reb Avraham ben Reb Nachman, son of Reb Noson’s close follower Reb Nachman Tulchiner, was a key figure in Uman and later in Yerushalayim, and he passed on many oral traditions (some of which are found in his “Kokhvei Ohr”). Plus Reb Avraham ben Reb Nachman was an extreme ascetic who had nothing to do with the materialism of this world, and his approach no doubt reflected his unusual personality. His “Bi'ur HaLikkutim” is one of the most profound works ever written on Likkutei Moharan. Then the tremendous gaon (preeminent scholar) and kabbalist Rav Avraham Sternhartz arrived in Yerushalayim from Ukraine in 1936 and provided a major link in the transmission of Breslover Chassidus to Eretz Yisrael. Among the prominent Polish Breslovers in Eretz Yisrael were Reb Elchonon Spector (not to be confused with the Kovno Rov of the same name), whose letters are published in “Ginzei Abbah”; and after WWII, Reb Ephraim'l of Pshedbarz, author of “Oneg Shabbos,” and the holy badchan (wedding jester) and baal menagen Reb Ben Zion Apter, among others. Although much younger than Reb Avraham Sternhartz (in fact, he almost became Reb Avraham's son-in-law at one point), Reb Levi Yitzchok turned into something of an opponent of Reb Avraham. The lightning rod for this conflict ostensibly was Reb Avraham's position about forming a Breslover kibbutz (gathering) in Meron for Rosh Hashanah. Reb Avraham held that davenning in Meron on Rosh Hashanah near the kever (grave) of Rabbi Shimon Bar Yochai is tantamount to davenning in Uman near the kever of Rebbe Nachman, given the profound connection between Reb Shimon and the Rebbe (see Rabbi Shmuel Moshe Kramer’s “Chadi Rabi Shimon” for a presentation of the Meroner shittah). This was a radical idea that Reb Levi Yitzchok and others could not accept, even though it came from one of Reb Avraham’s towering stature. The Rosh Yeshiva of the Breslov yeshivah in Meah Shearim was Rabbi Elyah Chaim Rosen, a product of the Lomza Teshiva who had spent a number of his younger years in Uman. (Reb Elyah Chaim was the main teacher of Reb Chaim Kramer after he came to Eretz Yisrael as a bochur, as well as numerous other Breslover Chassidim today.). He was politically aligned with his lifelong friend, Reb Levi Yitzchok. In Bnei Brak, Rabbi Shimon Bergstein and Rabbi Noson Zvi Kenig founded yeshivos and were important scholars. Reb Noson Zvi created numerous indexes and anthologies from the Breslov literature; biographical and bibliographical works; volumes of historical letters from Breslover Chassidim; and similar anthologies from the works of the RAMAK, ARI, and Tikkunei Zohar. In brief, there are at least two basic lines of transmission: 1) From Reb Noson to the Tcheriner Rav to Reb Avraham Sternhartz to Reb Gedaliah Kenig (Tzefas) and other talmidim of Reb Avraham; 2) from Reb Noson to Reb Nachman Tulchiner to Reb Avraham ben Reb Nachman to Reb Levi Yitchok Bender (Yerushalayim) and his talmidim. The “Poilisher” Breslovers might see Reb Yitzchok Breiter as the key person after Reb Avraham Sternhartz, or after Reb Avraham and Reb Shimshon Barsky, both of whom were teachers of Reb Yitzchok. (I’m not sure, because I never discussed this with any of them. Rabbi Moshe Yaakov Rosen and Rabbi Nachman Dov of Monsey or Rabbi Avraham Moshe Wasilski of Williamsburg would know more about this chapter of Breslov history.) Many Breslovers accept traditions from more than one mesorah, even if they have an allegiance to one in particular. 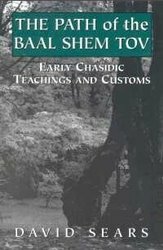 To become a true Breslover Chassid, it is essential to receive from teachers who are bearers of the mesorah. Otherwise, the “mesorah” one follows will be that of his own imagination. However, in the final analysis, the Rebbe speaks to each of us in his own way – through his writings and through his talmidim – and this is the main thing. That was a great summary of the history of Breslover chasidism. 1) There was some strife between Reb Nosson and the other talmidim, as is evidenced in a few letters in Alim Litrufa. 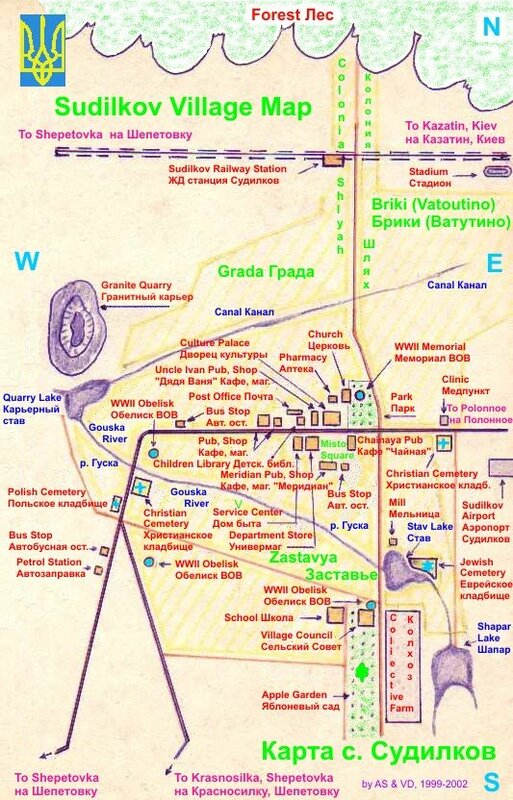 However, keeping in mind the kind of factionalism that was characteristic of Ukrainian chasidim, the dispute was relatively insignificant. 2) An important figure to mention is Bairach Robinson, who was a major Poilisher and active member of Agudas Israel, both in Poland and the US. 3) One could claim that there is a third mesorah, stemming from Karduner, which has nothing to do with the Tcheriner Rav nor Reb Avrohom Bereb Nachman's. We could put the various Horowitz's and Na Nachs (the ones that take chasidus seriously) into that group. Also, those of us not living near a Breslover kehilla relate in large measure to "teachers who are bearers of the mesorah" of Breslov in much the same way that we relate to Rebbe Nachman himself; that is, through their written output. We can use tapes or CD's of these teachers, but even that is not the same as a direct interation between teacher and student. Which such teachers are willing and able to communicate in depth via email or letters, and even with people they have never met? Thank you Reb Sears for the wonderful history lesson (and ASJ for posting this)! Good point Bob and I'm interested in hearing a response. Great, thanks for publishing it with details! Is it to be continued? Anonymous: 1) keeping in mind the kind of factionalism that was characteristic of Ukrainian chasidim, the dispute was relatively insignificant. What do you mean by that? How does the factionalism affect the significance of the dispute? Rather disputes cause factionalism. Isn't it? Firstly I've heared that R' Yisroel Karduner had a connection with Tcheriner Rov. Secondly one can hardly claim that Na-Nachniks continue his mesoyro. It is a completely separate product, though they claim this connection. If you find some sources from Reb Yisroel Karduner in support of Na-Nach's anarchism approach, than you can say they took it from him. Otherwise it is purely their invention. About the quote from Kav haYoshor (for some reason there is no comments link there). It said there that shames itself is longer than other candles, not that its kdusho is higher. (This would be strange really). Quite a different meaning! 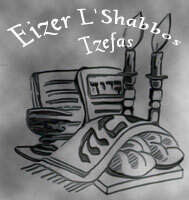 The "shamash" is not neccasarily longer than the other candles. What is the mesora for the current Tchenir Rav from Tsfas? Which line does he follow and where is Ysroel Odesser fall? It says that shamoshim are bigger. How do you see here that their kdusho is higher? Where does Kav Noki gets it? Ben Is Chai isn't speaking about comparative level of kdusho in your quote. Just about the kdusho of shames itself. Can also simply mean that they are placed higher. To say that their kdusho is higher is quite a twist out of the text. What do you mean by that? The title Tcheriner Rov in Breslover perspective refers only to Reb Nachman miTcherin ztz"l.
I mentioned the Ben Ish Chai for interest not for proof. Also, I forgot to write that it said as brought by the Arizal. The words אשר הן יותר קצת גדולים seem totally unnecessary except if you put it together with the previous words of having kedusha and thesew words seem to be a continuation of that. Its a big chidush to me but thats the way it seems to read. I have no problem being proven otherwise but the one who wrote Kav Naki is a baki in Kav Hayashar and a great talmid chochom. By the way, this inyan with kdushas hashames may be the practical reason why people use 2 shamoshim. The one I light candles with I put one near the menoyro (wax candle), but I usually light one more (oil one) in the menoyro itself which stands higher. So it comes out that one that is higher is used for hanoo from the light problem, and one extra is for lighting. Thanks! Here it is really straightforward. But it in the last quote it could mean length too. I checked up the Yiddish part. (Look here) it says there about longer shames, but it says it has more kdusho too, similar to how the shames of the kohen godol had, with wich he lighted the menoyro. (it is not very clear in the Loshn Koydesh part). Very interesting! (I meant in the first quote it could mean length). yasher koach reb dovid sears. we all should say a big todah and shkoiech to reb sears who works tirelessly writing and translating to bring more of breslov chassidus to the english speaking voild. a blessing on your kepeleh! With all respect I'm not sure its helpful to debate who is a "true Breslover Chosid". Rebbanu was clear that he required essentially two things 1. Learn every day and follow the Shulchan Eiruch 2. One hour of hisbodadus every day. Let me explain what I meant. The Ukraine was full of vicious chasidic infighting, much of it over relatively trivial issues (which nusach to say in kedushas keser) which erupted into life endangering machlokos. Considering how bad the machlokes between Reb Nosson and Reb Shmuel Isaac could have been, it never flared up as one would have expected given the historical background of Ukrainian Chasidism. I didn't only mention the Na Nachs. I would include the Horowitz family which includes a major mashpia. And by the way, not all Na nachs are so extreme. Rav Besancon is quite normal yet believes in the petek. Although he technically is from the Tulchiner stream, he is now much more connected to Rav Oddeser and thus to Karduner. The basic Breslover belief is that the Rebbe's Rosh Hashanah in Uman is a special tikkun (fixing or repair) for the souls of all who participate -- and that it has a cosmic "ripple effect," as well. Whatever the Rebbe does on Rosh Hashanah heals the spiritual damage of all Klal Yisrael and all of humanity. This is why Breslover Chassidim had such mesiras nefesh in traveling to Uman for R"H throughout the generations, under all sorts of conditions. So when Reb Avraham Sternhartz, arguably the greatest figure in Breslov of his generation, announced that going to Reb Shimon Bar Yochai's kever in Meron has the same benefits as going to Uman when it is not possible to do so -- and that those in Eretz Yisrael should have just as much mesiras nefesh about going to Meron for R"H -- this was regarded as an extremely radical idea. Again, to a non-Breslover it may sound like a minor thing; but to a community in which the Rosh Hashanah kibbutz looms so large, it is major. Thus, even certain people who knew that they were no match for Reb Avraham in expertise in the Rebbe's seforim or in shimush chakhomim or in Torah in general felt compelled to protest. Reb Avraham answered some of these questions, and years later, Reb Shmuel Moshe Kramer presented the "Meroner" ideology in his kuntres "Chadi Rabi Shimon." Nevertheless, during those years, Rav Elazar Kenig often repeated that we go to Meron because of our emunas chakhomim in Reb Avraham, not because we truly understand the mechanics of how this tikkun works. Later it became known that earlier generations of Breslover Chassidim in E"Y had gone to Meron for R"H, too, which added something to Reb Avraham's position. Since the revival of the Uman gathering, beginning in the late 1980s, this controversy has pretty much become dormant. For example, the Rebbe says many things in Likkutei Moharan that we don't quite know what to do with today. Going to Uman for R"H is a case in point -- the mesorah tells us that the same tikkun applies after the Rebbe's histalkus (passing) as when he was living in the world. Or a person may not know what the avodah of Erev Rosh Hashanah is all about, since this is not spelled out in the primary seforim; or how to approach certain undefined issues, such as the balance between hischazkus (encouraging oneself) and hisorerus (pushing oneself to reach higher levels) (Likkutei Moharan II, 7). All of these things lead us to seek the guidance of those who know how Breslover Chassidim of the past addressed such matters.